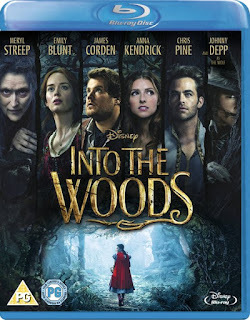 WIN #37: 1 of 3 copies of Disney's Into The Woods on Blu-Ray! From director Rob Marshall, the acclaimed filmmaker behind “Chicago” and Disney's “Pirates of the Caribbean: On Stranger Tides” comes a modern twist on the beloved fairy tales you thought you knew. 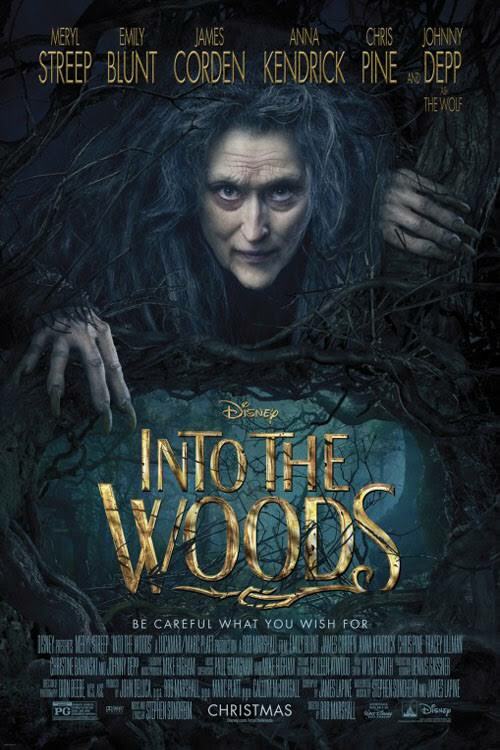 Academy Award winning actress Meryl Streep leads an all-star cast in this enchanted adventure about daring to venture INTO THE WOODS! This humourous and heartfelt musical follows the classic tales of Cinderella (Anna Kendrick), Little Red Riding Hood (Cilla Crawford), Jack and the Beanstalk (Daniel Huttlestone), and Rapunzel (Mackenzie Mauzy), all tied together by an original story involving a Baker and his wife (James Corden and Emily Blunt), their wish to begin a family and their interaction with the Witch (Streep), who has put a curse on them. Plots intertwine in a spellbinding mix of song and action as we explore the consequences of the characters wishes and quests. INTO THE WOODS is the home entertainment event of the year and a real must see for all the family! The Daily Mail - “Huge, exuberant fun - ★★★★”. The Daily Telegraph - “The film is a whirl of pure pleasure that just keeps whirling - ★★★★”. Sunday Mirror - “A delightfully clever, funny and stylish adaption of Stephen Sondheim’s much loved musical - ★★★★”. Run time: Approximately 125 min. Please note: You must follow or like Unique Young Mum on one social media platform!